Drumagore Dog Training & Behaviour was born from a need for good quality dog training. 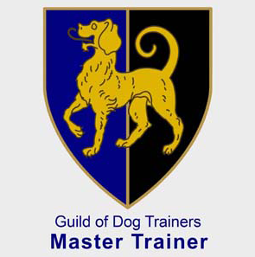 Robert is a Master Trainer with the Guild Of Dog Trainers and a member of the Pet Professional Guild. 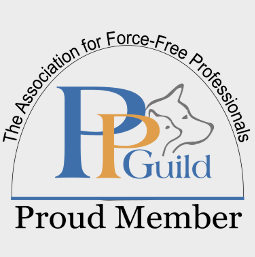 He is committed to positive dog training and continuing professional development and regularly attends Canine Behaviour conferences and seminars. Robert began as a teenager training family dogs. It was the 80’s and Barbara Woodhouse was a household name. Positive training was pretty much unheard of. Fast forward a few years he found a mentor that shared his values at a local dog training club. The welfare and happiness of the dogs came first. It wasn’t all positive training but it was a massive step in the right direction. Robert served his “apprenticeship”, training and learning for many years. Some of the training for Robert wasn’t all positive based, but he learned to grin and bear it because he was passionate about being the best that he could be. Taking skills from his mentor and adding his own twist to them, Robert became a trainer at the club working in the first few years with the companion/pet/domestic dogs and owners. It was a baptism of fire, with sometimes up to 30 dogs and owners in front of him at once. He gained a massive amount of experience in this way and found he thoroughly enjoyed training both the dogs AND their owners. Robert’s dog Peggy, a Chocolate Labrador was a familiar sight at training; waiting patiently in the line with the other dogs in case she was needed. The great love and partnership that Robert and Peggy shared inspired many people to go and practice the skills that Robert taught. Robert served the club in most capacities during his 20 years with them, Secretary, Chairman, Companion dog trainer and Gundog trainer and continued to learn and study as positive training became more mainstream. He spent time as Head Trainer within a charity, training Assistance dogs for children with autism and wheelchair users. Behaviour work happened organically as people reached out to him for help with their dogs issues. And so, in 2014 Drumagore Dog Training & Behaviour was born. To help people understand their dogs, to create a partnership and live in harmony together.